ETEN IAS is located in Subhash Nagar, Jaipur. It provides coaching for civil services, both for the national as well as state-level exams. What makes this place different from others is that it literally prepares a testing roadmap for its students that help them to work towards their goal in a planned and efficient manner. Another vital feature of ETEN IAS is that it ensures that a student who has missed classes does not have to suffer. This is done through video classes by a student can access at any time. The quality assessment feature of this place is something every student desires. With a great classroom environment coupled with a strong course module arrangement, ETEN IAS has everything in place. It is you who has to prepare yourself to clear this much-anticipated exam. 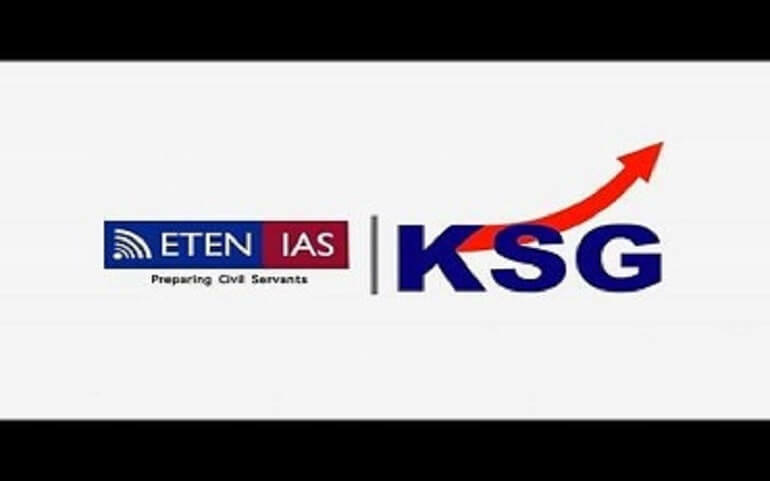 Book an appointment with ETEN IAS to know more about its fee structure and other details. Amazing experience with them, I am fully satisfied as a student learning from them. Gained humongous knowledge from here, learned many new things to implement in the exam. I am really confident to clear the upcoming IAS exam. There is a month observation of the student, and if he finds optimum for the ias coaching he is taken in otherwise he/she is screened out. They work so hard for the success of the students. Individually all the students are attended, all their doubts and queries are cleared on the spot. They are guided and motivated well throughout the course. They are the ruling institute for the ias coaching in the region. They give top priority for individual attention, help students for all their doubts, help them conquer their fears to attain higher levels of intelligence and achieve success. They have a stunning test series, they keep a strong check on students. They give notes and work to be done from home. Follow up is taken in the next class at the very start. Spectacular management and experienced tutors lead the students during the entire course. Wonderful experience, hopeful for the success ahead. For civil service exams preparation, this is the ultimate place for getting the best for yourself without wasting your precious time and money anywhere else. They are the best example of a superb IAS coaching institute in the region. Student-teacher interaction is ultimate, students are made to work hard and non-serious candidates are kicked out so that no distraction is ever faced by the serious aspirants. They have the enormous infrastructure capable of holding a huge number of aspirants, they provide experienced faculty which is just working for the students' welfare and they are easily approachable for the students' queries. Ideal ias coaching institute in the city. They have all the essential things required for the students to grow and move in the right direction. Hospitality is exceptional, supportive and competitive ambiance, students get to learn a lot and grow with pace in the learning journey. Students are made to interact more and more with the tutors, everything is looked after and strictness and discipline are forced for the help of the students. Definitely, they are the best in civil preparations. Students here get fond of learning and growing with the syllabus. They are given enough tests and made preparation for the exam environment. Surely a 5star IAS coaching institute. Eten is the greatest civil preparations institute. They have the most happening management, they take care of each and everything and have led the institute on a high note for years. IAS aspirants can see a bright future with them, everything is there for learning and moving in direction of your goal. Classes are so interesting and the atmosphere is extraordinary. The management is so organized and determined for the success of the students. Good and experienced teachers train here, they help students to move optimistically towards the goal, they are just the motivation and guidance, rest is to be done by the aspirant himself. All the IAS aspirants should at least give them a try and I m sure no one gets anywhere else after their counseling. Terrific results make them number one option for IAS aspirants. An apex IAS coaching institute in the area. They have paramount teachers working here, children follow them and come here because of their name and experience in the teaching.